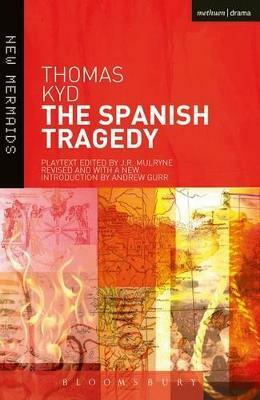 The first fully-fledged example of a revenge tragedy, the genre that became so influential in later Elizabethan and Jacobean drama, The Spanish Tragedy (1589) occupies a very special place in the history of English Renaissance drama. Hieronimo, Knight-Marshal of Spain during its war with Portugal, fails to obtain justice when his son is murdered for courting Bel-Imperia, the Duke of Castile's daughter, and decides to take justice into his own hands...This new student edition has been freshly revised by Professor Andrew Gurr to incorporate the latest stage history and critical interpretations of the play. It also appends the scenes that were added in 1602, discusses Elizabethan attitudes to revenge, the Senecan features of the play and the significance of the Anglo-Spanish conflict in the 1580s. Andrew Gurr is Professor of English at Reading University.